Miranda’s practice focuses on business transactions and real estate, advising various clients on acquisitions, dispositions, financing, development, and leasing. 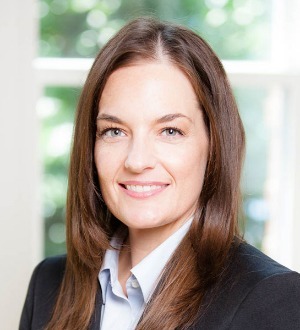 She also counsels non-profit organizations and has experience in conservation easements and conservation finance – having completed a course of study in conservation finance at Yale University in 2007. Miranda grew up in a small town in northern Kentucky. Upon graduating from high school, she received a piano scholarship and academic scholarship to Kentucky Wesleyan College and became the first person in her family to attend college. During college, Miranda worked with several non-profit organizations and developed a love for community service and mentoring young people. She moved to Nashville in 2001 to pursue a Master’s of Theological Studies at Vanderbilt Divinity School. While at Vanderbilt, Miranda became passionate about social justice and decided to attend law school. While in law school at the University of Tennessee, Miranda was the Managing Editor of the Tennessee Law Review and also received the Third Year Editor’s Prize. She was President of Law Women and received the National Association of Women Lawyers Award, Outstanding Pro Bono Service Award, National Association of Women Judges Scholarship, Marion S. Griffin Scholarship, and she was a member of the Hamilton Burnett Chapter of the American Inns of Court. She has been a Big Sister through the Big Brothers/Big Sisters program for nine years and has been a member and co-chair of its Ambassadors Circle Leadership Program. Her experience advocating for her Little’s education resulted in an appointment by the Metro Nashville Public Schools to its Charter School Application Review Committee, and she subsequently has served on the boards of Nashville Classical Charter School and RePublic Schools. Miranda is a member of the Nashville Area Chamber of Commerce Education Committee and is a founding member of Emerge Tennessee, an organization that trains Democratic women to run for public office. In her free time Miranda enjoys outdoor adventures, golfing, cooking, and spending time with her dogs, Major and Remy.